A lot of people ask me about what all is required to make an app in iOS. There is a lot of documentation around which discusses what I am about to talk about, but I felt there was a need for a workflow which handled all the questions that come up. This is a brief overview of how the whole thing works. Sign up for the iOS Developer program. Design & Test your app. Publish your app to the iTunes store. Thats all. Now lets get into the specifics of all those steps. First & foremost, you DO NOT need to sign up for the developer program TO START developing. You can start making app with a free developer account. You need the paid version to test you app on a real device & for distributing your app on the app store. 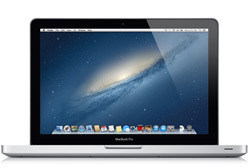 You need a Mac computer with preferably the latest OS installed. The next thing you need is Xcode. 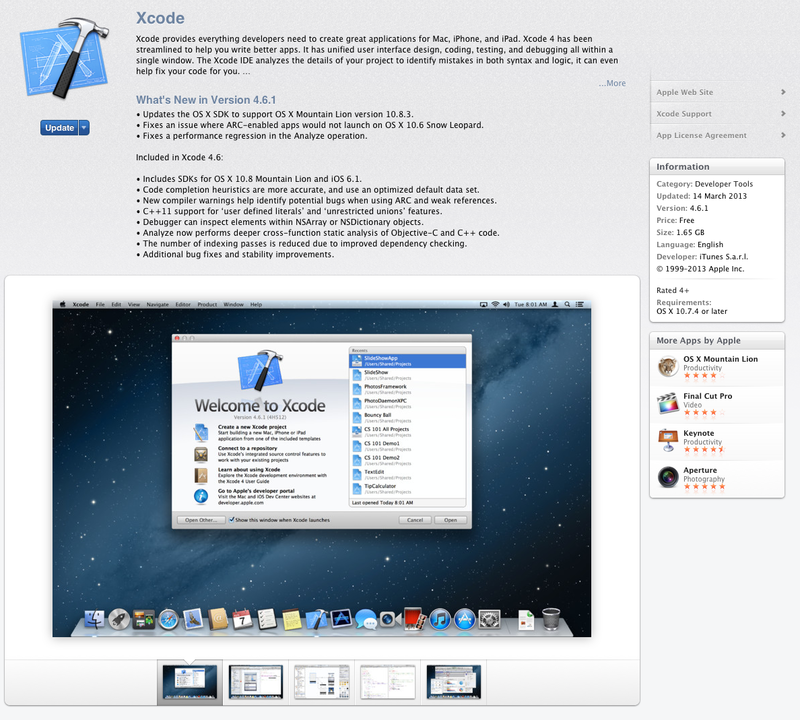 Xcode is an IDE which we use to design our apps. It is free to download from the Mac App Store. Thats it. Thats all you need to get started. Now before you start coding, there are a few things to look into. A successful app needs 2 things a great idea backed up with brilliant execution. Start of by thinking of what might really help the end user. Remember people will only download your app if it appeals to them or if it helps them in their day-to-day life. Once you have the idea then you can move onto the next step which is the planning & scripting step. This is where you start thinking about the specifics of the app. What color combination will you use? Will the app require an internet connection? Will it support multitouch? Will there be a theme to the different view components? Scripting is where you lay down the rules as to the flow of your app. It is often referred to as storyboarding. This is where you will draw the app & get the first look on how it should flow, the orientation of the buttons. Having done this we are now ready to start coding. This is an iterative process. You will at this point have to test it frequently. It would also be a good idea to get a preliminary feedback from friends & family. This process will continue until you & your family/friends feel comfortable with your product. This is where things get a little murky for users. Once you have made the app you are ready to test it on a device & put it on the iTunes store. To do this we now have to sign up for the developer program. So what is a developer program? A developer program is basically a membership to an online portal which enables you to do a lot of post coding steps. Here are some of them. Testing – In order to test your app on devices you need to files a provisioning profile & a distribution profile. You can create these documents on the portal. Distribution – To distribute your app on the iTunes store you need a distribution provisioning profile along with a distribution certificate. Also, there is another portal where you can upload your app to Apple servers for distribution. This brings us to the question, Which developer program should I enroll for? or Which Developer program am I eligible for. There are 3 programs available: iOS Developer Program, iOS Developer Enterprise Program, iOS Developer University Program. This is a basic developer program. It costs $99 a year. Once you enroll for this program you can test apps on devices & upload apps onto the iTunes store. This program is ideal for individuals & small businesses. This is the enterprise version of the program. It costs $299 a year. Once you enroll for this program you can test apps you develop on different devices & distribute apps within your enterprise. Note you cannot upload apps onto the iTunes Store, this program is for internal deployment only or in other words this is to enable you to make apps for you own employees. To be eligible for this program your company needs to have a D-U-N-S number. If your company does not have a D-U-N-S number then you can either apply to have one or opt for the basic iOS Developer Program. You could also look up your D-U-N-S number with the link above to see if your company has a D-U-N-S number. You would also require the contact details of a person who has the authority to approve this enrollment. This program has been designed mainly for Universities who want to introduce iOS Development as a part of their curriculum. The program is available for free. Again, just like the Enterprise Program, here to you need the contact details of a person who has the authority to approve this enrollment. Once you have decided upon & enrolled into a developer program, all you have to do is to test your app on as many different devices with as many different versions of OS possible (depends on you app specifications & requirements). Then just go ahead & distribute your app via the iTunes Store.